So I took a new job that is interesting and weird and challenging and fun and SO MUCH TO LEARN and for the last few months it has eaten my life. And that’s OK because, you know. It’s never a bad thing to learn things, and I’m all “stable responsible citizen” now (we’ll see how long that lasts) but my fingers have been ITCHY for the camera. New year, new resolve to focus on the things that nourish my soul. 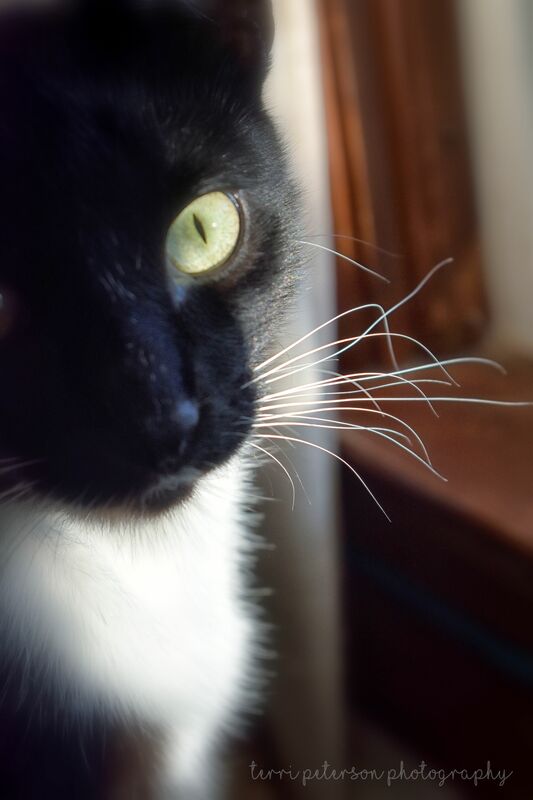 Sebastian, handsome tuxedo-clad he-beast that he is, has an impressive set of whiskers. He lost the long white eyebrow whiskers when he was vaccinated (no one has explained to me why, I just know that’s what happened) but his cheeks whiskers are long and white and majestic. And they make my world more beautiful. ← Big Beautifu…HELL NO! Worst. Hotel. Art. EVER.